I was called to recount my past life in detail. My corporate life. When this happened, I began to behave like the person I was back then. I got edgy, sharply strategic, unsettled. I am not a corporate type. It’s not that I’m not smart enough, aware enough, creative enough…I can do those things. It’s my soul. My soul does not agree with the treatment I witnessed as an internal corporate employee. I’m an artist at heart. A writer, a coach and communicator. I appreciate pure intention, honesty, flaws. The human aspect, with all its imperfections makes me joyful. Do you remember who you really are? As a child you probably knew. You may still know. The point is, some of us lose ourselves while we’re busy being someone else. We become someone other people would approve of, someone manageable, someone neat, tidy and easy to understand. 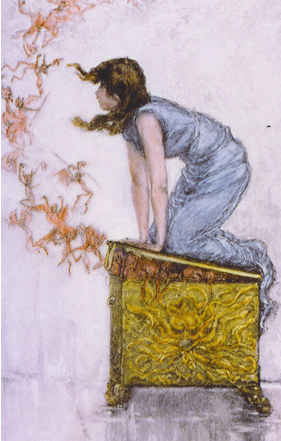 As you put yourself in that box, the real you may seep into the corners, away from your grasp. That’s NOT GOOD! I pruned and trimmed my essential self to fit into the box of “acceptable.” Over the last year, I’ve been gathering the pieces and putting them together. This is work I’ve done with clients for years. I help people find themselves, create bullet proof game plans and execute those plans – showcasing their talents and brilliance. It is very rewarding work, because it honors the client’s authentic self as well as my own. Being someone else does the world no justice. It robs others of your true talents and robs you of a fully lived life. All the notions, all the stories around why you should be who you put in the box can be very convincing…and sometimes we need to really work at dismantling the stories. It can take boatloads of courage to get up, shake off the dust, gather up your pieces and bring it to the world! It’s the way it was supposed to be!